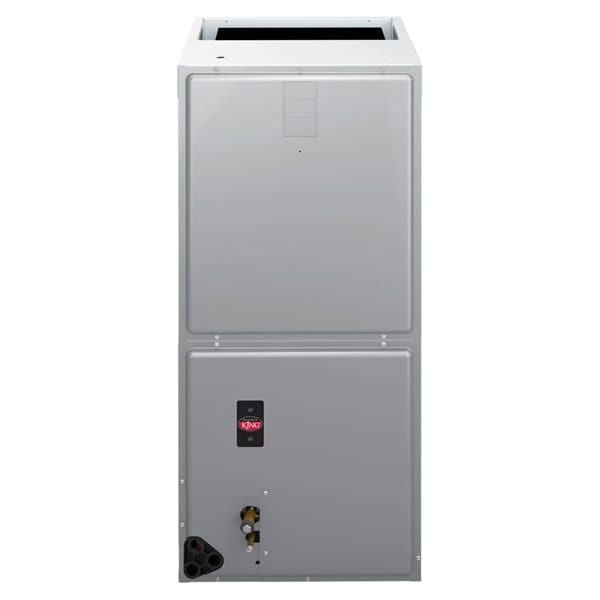 While the outdoor unit alone is commonly referred to as the air conditioner, a coil or air handler inside the home is what actually removes heat and humidity from the air. Coils are used in applications where a blower is already present in the existing system. This is the case with almost every system that contains a furnace for heating purposes. An air handler includes a blower in addition to a coil and is used when no furnace or other blower is present. Coils and air handlers come in a variety of sizes and configurations to match any application. Cold refrigerant from the outdoor unit evaporates within the coil and absorbs heat from air passing over the coil. As the temperature of air is reduced, water vapor in the air condenses and is drained away. This process reduces both the temperature and humidity levels. Coils can also be used in heat pump systems where the outdoor unit delivers hot rather than cold refrigerant. In turn, this hot refrigerant releases its heat to the air passing over the coil. Air handlers include a coil that functions exactly as described above. However, they also include a blower to distribute air throughout the home. Coils rely on a blower already present in the system, typically as part of the furnace. 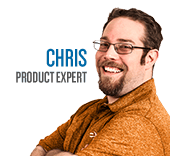 Coils and air handlers are often advertised as being for a specific size unit. This is often represented in terms of Tons or BTU per hour. Both of these are common measures of cooling capacity and are used interchangeably (1 Ton cooling = 12,000 BTU/hr). These capacity ratings may be accurate for basic installations, but higher efficiency systems often require a coil with a listed capacity higher than the desired output. Manufacturers specify the appropriate coils for use in these applications, and we will be happy to help you to select the correct components for your system. Furnaces typically come in 4 standard widths. Evaporator coils are sold in corresponding widths to simplify installation. Width should be selected to match the furnace as closely as possible and has little to no effect on operating performance or efficiency. Coils are available in two main types, slab coils and “A” coils. Slab coils, as their name implies, consist of a simple slab of fins with tube coils to carry refrigerant. 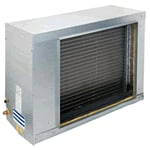 They are primarily used in systems that require very low airflow resistance. Slab coils are often larger than the furnaces they are used with, so it is critical that a transition is built by the installer to ensure proper air flow and operation. An “A” coil consists of two slabs of fins arranged in an A-shape formation. This allows them to have a total surface area similar to that of a slab coil, but install directly onto the furnace with no transition ducting. An “N” coil is a derivation of an “A” coil that uses three fin slabs arranged in an N-formation. It is designed to fit on a furnace directly like the “A” coil, but have a shorter overall height. While slab coils are only suitable for installation in horizontal applications (i.e. applications where the airflow is horizontal through the coil), “A” and “N” coils are available for both horizontal and vertical applications. A coil with the proper orientation must be used, or water will not drain properly. This can cause mold growth, poor operation or property damage. Air handlers are available with a number of blower options that offer various combinations of cost, comfort, and efficiency. Detailed information about these options can be found in the blower section of our furnace buying guide. 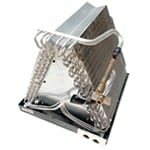 Evaporator Coil & Air Handler Buying Guide - How to Pick the Perfect Evaporator Coil & Air Handler. Our heating, ventilation and cooling equipment how-to library can help you pick the perfect comfort solution for your home.